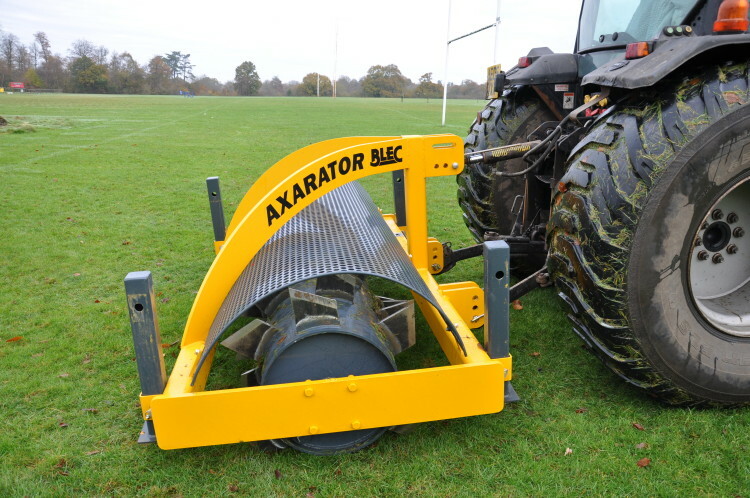 BLEC has introduced the new Axarator - a high-output low-cost alternative aeration system . 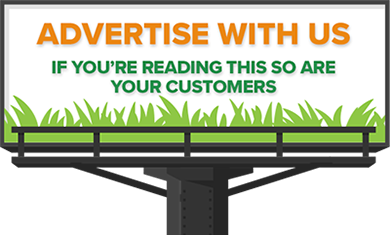 . . proved by contractor Bill Ellis at Horsham Rugby Club. 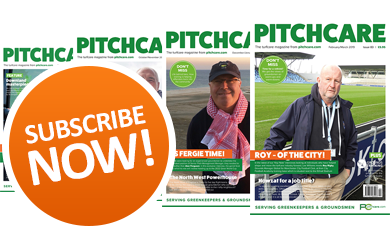 He treated six pitches in less than a day with the new low-maintenance aerator fitted to a tractor with three-point linkage. He used the 2.5m model with 60 seven-inch (18cm) special heat-treated blades the shape of axe heads, welded in sequence to a cylindrical drum. These create deep pockets and a sideways movement in the ground, producing an excellent decompacting action. The drum can be filled with water for extra weight. Because of the spread weight the Axarator is ideal for ground that is wet, leaving no spoil but cuts in the ground which are wedge shaped. 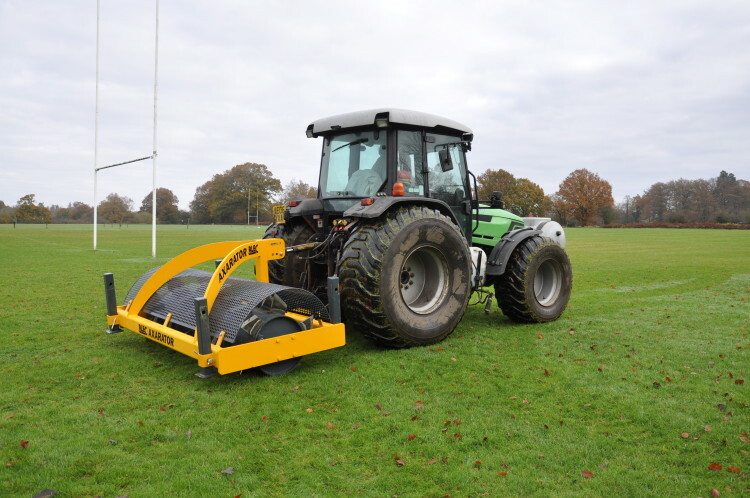 "Despite sticky conditions at Horsham Rugby Club the Axarator decompacted the ground well and did not disturb grass roots," said Bill Ellis, a contractor from Cambridgeshire. 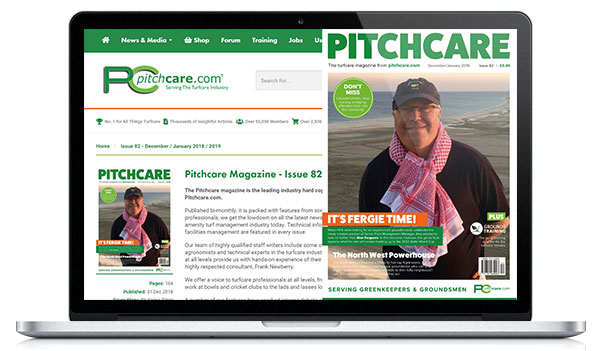 "Water is able to run off pitches after treatment and the blades cannot be damaged by heavy ground conditions". The Axarator also comes in 1.8m and 3m models. "The secret of this aerator's success is in its simplicity," says BLEC managing director Gary Mumby. "There are few moving parts to go wrong, solid steel blades that are permanently welded and it comes in at a much lower cost compared to aerators with tines." Speed of operation is impressive with the six rugby pitches aerated in less than a day at Horsham Rugby Club by Bill Ellis. "This machine can quite comfortably cope with 10 pitches in a day," says Bill. "The surface will be left virtually undisturbed with open grooves to let water get away from the surface." He visits Horsham Rugby Club several times a year to overseed, topdress and aerate.The club are delighted with the results. "It was a clean and tidy job and the results are impressive," said grounds manager Kim Platfoot. 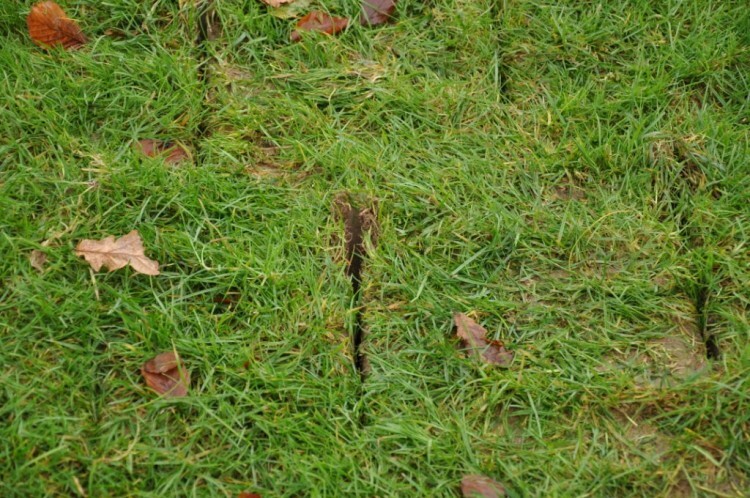 "This was a quick aeration solution in difficult heavy ground conditions during a short window of weather opportunity. A very good finish and with speed of operation not possible when using other aerators."